*** ENGLISH. 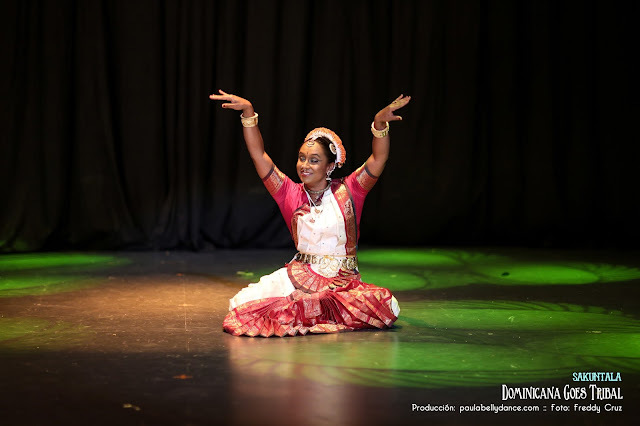 In April 2018 I celebrated 20 years in the world of dance. And with my series of posts "20 Years in 20 Days" I decided to celebrate my anniversary. I also wanted to tell my story for those people who can identify or be inspired by it. 20 years ago, I did my first dance step in a professional salon and received my first payment as a dancer, when I was little. In this journey as a dancer there have been beautiful things as well as sad ones. But what I always imagine, is that I am in a movie or a book, and to achieve your dreams, you must go through difficult trips. You will learn and become stronger to overcome adversity, reach your “Happy Ending” and inspire other people to do the same. mistakes and I made big mistakes. I got experiences, knowledge and spectacular creations. And I can say now, that everything has been wonderful for my growth. I send a lot of love to all the negativity, I grew as a person and a professional because of my mistakes, and I feel proud, complete and happy for all that I have created, achieved and offered thanks to God and the Universe. The BULLIES: Since my childhood, in college and even as an adult, some people called me ugly, fat with a round face and other silly things. I admit that this affected me in the past because the words that repeat a lot can affect you, but I was also saddened by the need for cruelty of many people. Now I understand that those words have nothing to do with me, that no matter what others think, that usually insecure and envious people tell you those things because they feel attacked and intimidated by you. I would have loved to understand this as a child and adolescent, and I hope that these words will be recorded to any girl or girl who is called ugly, fat, skinny, this and that. THAT IS NOT TRUE, and if you are chubby, what does it matter? And if for some people you are ugly, what does it matter? If you are very thin, WHAT DOES IT MATTER?! Nobody must want to make you feel bad about yourself, REMEMBER, those people are insecure, sad and bad. Believe in you and be the best you can, for you! I thank the God and the Universe that this happened to me so as not to fall back on beauty or physique to realize my dreams, but to focus on hard work, discipline and excellence. Of course, how my parents raised me was an important factor as well. And I thank them that they always made me feel pretty and gave me a lot of love. BETRAYALS: This is simple, if a person betrays you, it just does not deserve to be close by. Remove them away from your life, forgive them, but do not give a second chance. Who can betray you once, have the same scruples to do it a second time. MISTAKES: If you can, apologize. If you cannot, try to grow from your mistake, learn from it and do not commit it again. But the main thing is to try to apologize, and learn from your mistakes. PLAGIARISM: If you are doing something right, this comes by default. It used to bother me, uff ... and I do not deny that I'm still impressed and annoyed that some people copy things without giving credit. But since I'm getting wiser (hahaha yeah right! ), You must understand that if you do something right, other people will want to do it, and not everyone has the same capacity, creativity, ethics or values to try to do new things on their own. It is true that in the world "everything is done", but real artists always try to give a twist or personal touch to their creations. Do not take plagiarism personally, there is nothing you can do because they will usually find a way to plagiarize. They will not thank you for your creations, they will not give you credit or thank you that because of your work, they wanted to “elevate” their things (even if plagiarizing) and, usually, they will lie to themselves that they have not done anything wrong. On the other hand, look at this on the positive side, they copy you because you are doing something very beautiful. Turn it to the positive and thank God and the Universe for all your creativity. (Believe me, this is difficult for my haha, I do not like plagiarism people, but I work constantly in my growth as a human being, and after my discomfort, I send them a lot of love and desire that they believe more in their capacity). GOSSIP: The best thing is to ignore. The person speaking behind your back is because he or she is behind you. If it becomes too unbearable and unfair, my advice, and I may be wrong, is that it is better to confront the person and tell them immediately that you do not want them in your life. Sometimes cases arise that people will want to draw attention to. Sometimes this is because they admire you so much, that when they do not have your attention, they want to call your attention in a bad way. The best thing really is not to feed this need for attention, get this person completely out of your life, keep it very far away and send him or her a lot of love and peace. WHEN THINGS DO NOT GO SUPER WELL: Remember that nothing is forever. One day will be wonderfully well and the other, you will question why you have taken the path of art. This is normal and no road you take is going to be simple. Be constant, cry when you have to do it ... if one day you fall deeply ... cry but get up. Life is one and we are here to live it to the fullest. DO NOT GIVE UP. LEARN TO ACCEPT YOUR HUMANITY AND DO THE MOST POSSIBLE: Sometimes we will feel angry, we will cry, we will be involved in gossip, we will do spectacular things. The best thing is never to get too excited about being up because we can lose this, and not be very sad about being below because we can overcome that. Also, learn to accept that you are sometimes sad, that sometimes you get upset, sometimes you are so happy for your achievements that you tell the world, sometimes you want to show them that cute dress you have, etc. . YOU ARE HUMAN, we are not perfect at all. Enjoy your mistakes and virtues. Always autoanalyze yourself, do not take away much of the opinions of others because you must always question everything, keep values that you have, work for what you want and in yourself. Always improve yourself. And never, NEVER stop pursuing any dream you have, and when you get it (because if you propose it you will get it), pursue another. I thank God and the Universe for the beautiful things that happened to me, and the bad things because they made me stronger. I give immense thanks to the people who supported me unconditionally in my studio, and my dreams as a dancer: my sister Omaris, my mom, my dad, my friends who have always been there, even if it is not necessarily physically. Colleagues who are good. To my ex-students who admire and respect me. To my teachers and mentors. To professionals who worked with me such as videographers, photographers, people from theaters, and many more. To people that I do not know and who support me in one way or another. And now my husband Rob, who has supported me since we met. And remember, discipline takes you wherever you want to go. Just have some cute points, enter your belly, lower your shoulders and raise your chin haha. Be humble, and always believe that everything is possible. A kiss to the right, a kiss to the left, a kiss to the center, and applause thanking everyone who accompanied me in these "20 Years in 20 Days". P.S. ¡Y no ha pasado nada! *** ESPANOL. En abril 2018 cumplí 20 años en el mundo de la danza. Y con mi serie de posts “20 Años en 20 Días” decidí celebrar mi aniversario. También quise contar mi historia para aquellas personas que se puedan identificar o inspirar con la misma. Hace 20 años di mi primer paso de baile en un salón profesional y recibí mi primer pago como bailarina, aun siendo pequeñita. En este viaje como bailarina ha habido cosas hermosas así también como tristes. Pero lo que me imagino siempre, es que estoy en una película o un libro, y para lograr tus sueños, debes pasar por viajes difíciles de los que iras aprendiendo y volviéndote más fuerte para superar las adversidades, llegar a tu Happy Ending e inspirar a otras personas a que hagan los mismo. Sufrí desde comentarios feos, traiciones, chismes, injusticias, pasé por equivocaciones y errores grandes que yo misma cometí, y obtuve experiencias, conocimientos y creaciones espectaculares. Y puedo decir ahora, que todo ha sido maravilloso para mi crecimiento. Envío mucho amor a toda la negatividad, crecí como persona y profesional por mis errores cometidos, y me siento orgullosa, completa y feliz por todo lo que gracias a Dios y el Universo he creado, logrado y ofrecido. Los BULLIES: Desde pequeña, en la universidad y aún ya como adulta, me llamaron fea, gorda que tenía la cara redonda y otras cosas tontas más. Admito que me afectó esto en el pasado porque las palabras que te repiten mucho te pueden afectar, pero también me entristecía la necesidad de crueldad de muchas personas. Ahora entiendo que esas palabras no tienen que ver conmigo, que no importa lo que piensen los demás, que usualmente las personas inseguras y envidiosas te dicen esas cosas porque se sienten agredidas e intimidadas por ti. Me hubiera encantado entender esto de niña y adolescente, y espero que estas palabras se le graben a cualquier niña o jovencita a quien le digan fea, gorda, flaca, que esto y lo otro. ESO NO ES CIERTO, y si eres gordita ¿Qué importa?, y si para algunas personas eres fea ¿Qué IMPORTA?, si eres muy flaca, ¡¿QUE RAYOS IMPORTA?! Nadie tiene por qué quererte hacer sentir mal contigo mismo, RECUERDA, esas personas son inseguras, tristes y malas. ¡Cree en ti y sé lo mejor que puedas, por ti! Agradezco al Dios y al Universo que me ocurriera eso para no recaer en belleza o físico para realizar mis sueños, sino enfocarme en el trabajo duro, la disciplina y la excelencia. Por supuesto, la crianza de mis padres fue un factor importante también. Y les agradezco a ellos que siempre me hicieron sentir linda y me dieron mucho amor. TRAICIONES: Esto es simple, si una persona te traiciona, simplemente no merece que la tengas cerca. Aléjala de tu vida, perdona, pero no des una segunda oportunidad. Quien es capaz de traicionarte una vez, tienen los mismos escrúpulos para hacerlos por segunda vez. ERRORES: Si puedes, pide excusas. Si no puedes, trata de crecer de tu error, aprende del él y no lo vuelvas a cometer. Pero lo principal es tratar de pedir excusas, y aprender de tus errores. PLAGIO: Si estás haciendo algo bien, esto viene por añadidura. Antes me molestaba, uff… y no niego que todavía me impresiona y molesta que copien las cosas sin dar crédito. Pero como me estoy volviendo más sabia (hahaha yeah right!) hay que entender que, si haces algo bien, otras personas lo querrán hacer, y no todos tienen la misma capacidad, creatividad, ética o valores de tratar de hacer cosas nuevas por sí mismos. Es cierto que en el mundo “todo está hecho”, pero los artistas reales siempre tratan de darle un giro o toque personal a sus creaciones. No tomes el plagio de manera personal, no hay nada que puedas hacer porque usualmente encontrarán la forma de plagiar, no te agradecerán por tus creaciones, no te darán crédito de que gracias a ti han querido elevar sus cosas (aunque sea plagiando) y, usualmente, se mentirán a ellos mismos de que no han hecho nada incorrecto. Por otro lado, mira esto del lado positivo, te copian porque estás haciendo algo muy bonito. Dale el giro a lo positivo, y agradece a Dios y al Universo por toda tu creatividad. (Creeme, esto es difícil para mi jaja, no me gustan las personas plagiadoras, pero yo trabajo constantemente en mi crecimiento como ser humano, y luego de mi molestia, les mando mucho amor y deseos de que confín más en su capacidad). CHISME: Lo mejor es ignorar. La persona que habla a tus espaldas es porque esta detrás de ti. Si se torna demasiado insoportable e injusto, mi consejo, y puedo estar equivocada, es que es mejor confrontar a la persona y decirle inmediatamente que no la quieres en tu vida. A veces se presentan casos que las personas querrán llamar la atención. A veces esto es porque te admiran tanto, que cuando no tienen tu atención, la quieren llamar de mala forma. Lo mejor en realidad es no alimentar esta necesidad de atención, sacar completamente a esta persona de tu vida, mantenerla muy a distancia y mandarle mucho deseo de amor y paz. CUANDO LAS COSAS NO VAN SUPER BIEN: Recuerda que nada es para siempre. Un día estará maravillosamente bien y el otro, te cuestionarás por qué has tomado el camino del arte. Esto es normal y la vida, y ningún camino que tomes va a ser sencillo. Se constante, llora cuando tengas que hacerlo… si un día caes profundamente… llora pero levántate. La vida es una y estamos aquí para vivirla al máximo. NO TE DES POR VENCIDA(O). APRENDE A ACEPTAR TU HUMANINDAD Y HACER LO MEJOR POSIBLE: A veces sentiremos rabia, lloraremos, estaremos envueltos en chismes, haremos cosas espectaculares. Lo mejor es nunca emocionarse demasiado por estar arriba porque podemos perder esto, y no estar muy triste por estar debajo porque podemos cambiar. También, aprende a aceptar que estas a veces triste, que a veces te molestas, a veces coges piques, así como a veces estas tan feliz por tus logros que los dices al mundo, a veces quieres mostrar eses vestido tan lindo que tienes, etc. ERES HUMANO, no somos para nada perfectos. Disfruta de tus errores y virtudes. Siempre autoanalízate, no te lleves mucho de las opiniones de los demás pues siempre debes cuestionar todo, mantén valores que tengas, trabaja por lo que quieres y en ti misma. Siempre mejórate a ti misma. Y nunca, escúchame bien, NUNCA dejes de perseguir algún sueno que tengas, y cuando lo obtengas (porque si te lo propones lo vas a obtener), persigue otro. Doy gracias a Dios y al Universo por las cosas hermosas que me ocurrieron, y las malas porque me hicieron más fuerte. 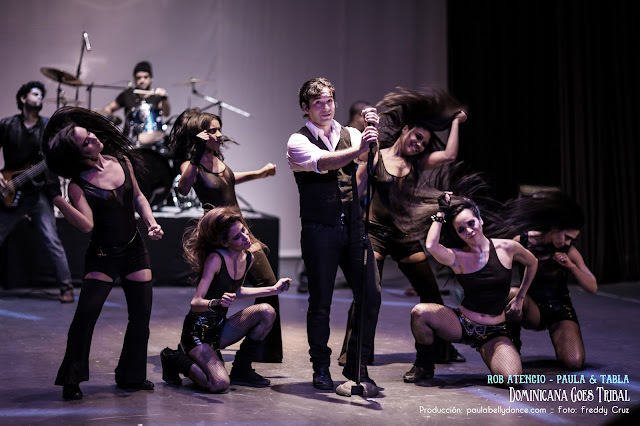 Doy inmensas gracias a las personas que me apoyaron incondicionalmente en mi estudio, y mis sueños de bailarina: mi hermana Omaris, mi mamá, mi papa, mis amigos que han estado siempre presentes, aunque no sea físicamente necesariamente. Colegas que son buenas. A mis exalumnas que me admiran y respetan. A mis profesores y mentores. A profesionales que trabajaron conmigo como los videógrafos, fotógrafos, personas de los teatros, y muchos más. A personas que ni conozco y que me apoyan de una u otra forma, y ahora mi esposo Rob, que desde que nos conocimos me ha apoyado. Y recuerda, la disciplina te lleva lejos. Igual tener unas puntas lindas, entrar tu vientre, bajar los hombros y subir tu barbilla jaja. Ser humilde, y siempre creer que todo es posible. Un beso hacia mi lado derecho, un beso hacia mi lado izquierdo, un beso al centro, y aplausos agradeciendo a todo el que me acompañó en estos “20 Años en 20 Días”. P.D. ¡Y no ha pasado nada! *** ENGLISH. In April 2016 I set foot on American territory again, this time with the Residence for Artists with Extraordinary Ability. Wonderful sensation of having that merit. Everything happens for a reason, (if you have read my past 18 days, you will understand what I mean!) and now I understand a lot about my happy and no so happy experiences! I'm wiser now, I know I know nothing, I am ready to explore and learn what the world wants to offer me! *** ESPANOL. En Abril 2016 pisé territorio Americano nuevamente, esta vez con la Residencia para Artistas con Habilidad Extraordinaria. Maravillosa sensasión de tener ese mérito. Todo sucede por una razón (si has leído mis últimos 18 días, entenderás lo que quiero decir!) ¡Y ahora entiendo mucho sobre mis experiencias felices y no tan felices! ¡Ahora soy más sabia, sé que nada sé, estoy lista para explorar y aprender lo que el mundo me quiere ofrecer! *** ENGLISH. Do not miss my last post of 20 Years in 20 Days. I appreciate that you have accompanied me on this trip, and I wait for you in my next publication. Kisses to the right, kisses to the left, my heart to you, and applause for you because you read me! see you soon! *** ESPANOL. No te pierdas mi último post de los 20 Años en 20 Días. Agradezco que me hayas acompañado en este viaje, y te espero en mi próxima publicación. ¡Besos a la derecha, besos a la izquierda, mi corazón hacia ti, y aplausos para ti porque me lees! ¡hasta pronto! *** ENGLISH. Hello! We are almost approaching the end of my 20 Years in 20 Days. If you have come this far, I say thanks to you. If this is the first publication you read, or you have missed some of my days/stories, you can see them in order on the right side, if you are viewing this from a Desktop or Laptop, and at the bottom, if it is from a phone or tablet. applied as soon as I could: 2014.
time so sad and disconsolate because I immediately had to leave the country, and to study. It was such a beautiful and sad moment. 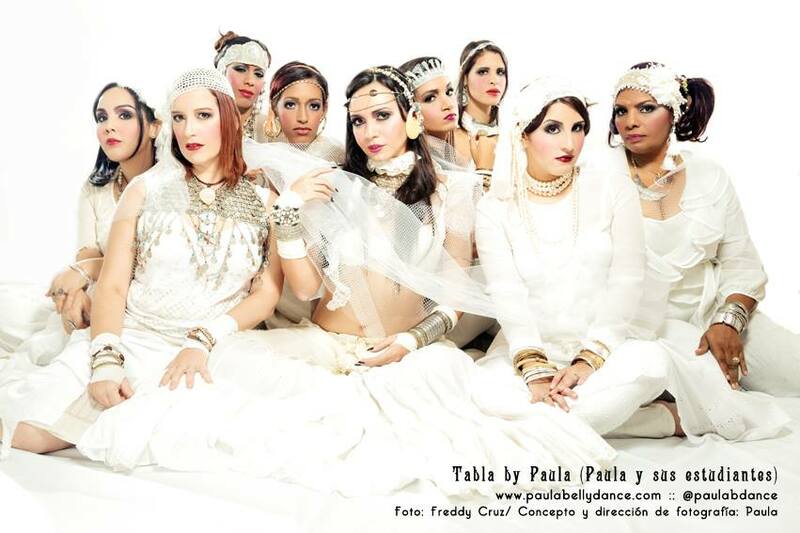 But since I had given my 110% for my students, my studio, my productions and everything related to Tabla, I felt I could close that cycle, but I had to do it with a flourish: with workshops, certifications, classes, evaluations and a great show collecting all the previous productions: Tabla Bye Bye Paula. The show featured a small part of: Stand up & Bellydance! 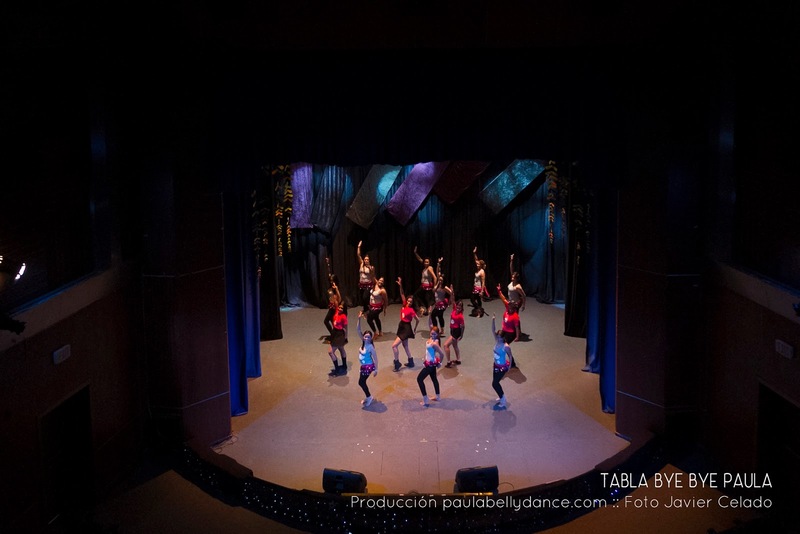 Yo Bailo en Tabla (El Recital y EL Cuento de Primavera), la Gala Rising Stars y Dominicana Goes Tribal. I wrote this on Facebook: "I THANK GOD AND THE UNIVERSE SO MUCH for giving me such a wonderful gift for my work, sacrifice and effort. 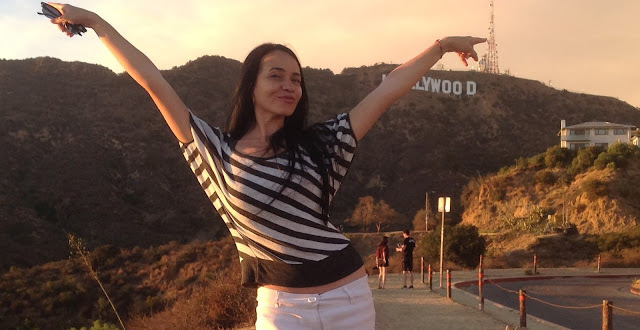 I have been granted the Residence for Artists with Extraordinary Skill EB1-1 of the United States, that is, the greencard to live and work in the United States for my portfolio as a Dancer and Plastic Artist; something that has been granted only 1% in the Dominican Republic, according to the US embassy. That's right, I emigrate from the country in a very nice way, and I thank a nation like the United States for appreciating my work and effort. 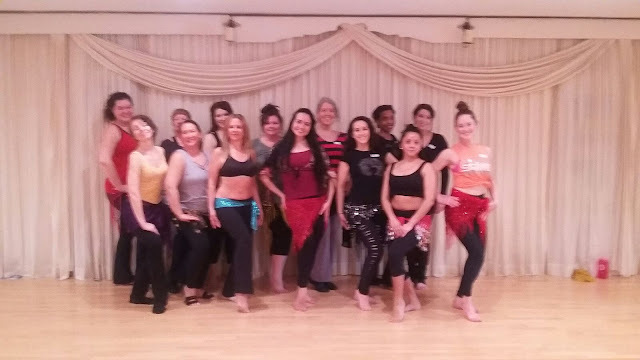 I move, but proud of all that I have given in my country, of love and all of the effort that I have put in my dream of raising the Oriental Dance here and especially to my students. This moment is just a transformation of the magic that surrounds us. We are sad, I am very sad, but what characterizes us is the struggle and giving everything for everything. Therefore, my farewell is great! with many beautiful things that culminates with a BIG SHOW on April 10. Table is filled with love, art, magic dust and a lot of joy. Remember, this is just a transformation. Thank you God Universe for this beautiful opportunity, and also for these 5 years of having caterpillars, ducklings, butterflies and swans by my side. 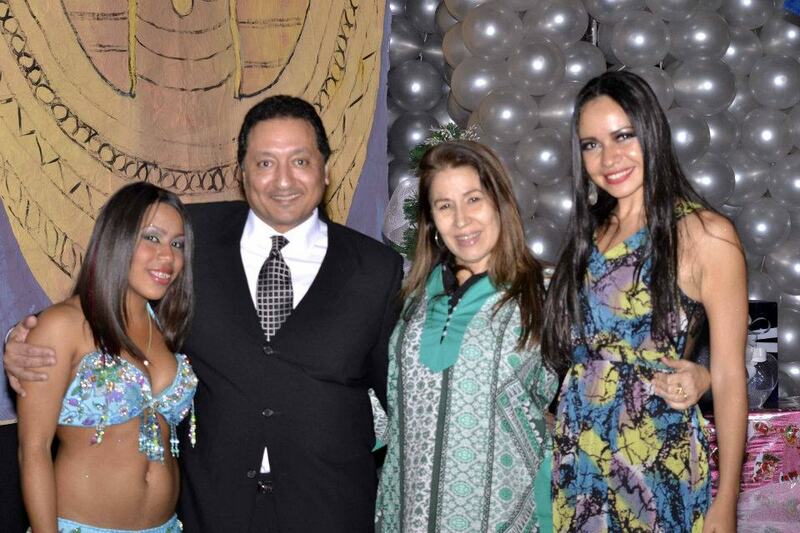 Thank you Karim Nagi Rhythmatiq, Jillina Carlano, Zahra Zuhair Raqs Sharqi, Kaeshi Chai I got it! It took so long but it was sooner than I expected. It would not have been possible without your support. Thank you Kenia Soraya Gallardo Ezequiel TaverasRaúl Miyar Angelo Valenzuela Marianne de Tolentino, Stephen Kaplan, Laura Pena Sweet Aymara Martinez for her support and faith in me. Thanks Daddy Omar Saneaux, Mommy, Omaris and Rob. Thanks to my students. <3 "
*** ESPANOL. ¡Hola! Ya casi nos acercamos al final de mis 20 Años en 20 Días. Si has llegado hasta acá, hago una reverencia de agradecimiento para ti. Si este es la primera publicación que lees, o te has perdido unos de mis días/historias, puedes verlas en orden en el lado derecho, si estás viendo esto desde una Desktop o Laptop, y en la parte de abajo, si es desde un teléfono o tableta. Como siempre he tenido deseos de explorar todas mis posibilidades, deseaba eventualmente emigrar de mi país nuevamente. Como expliqué anteriormente, para uno poder vivir y trabajar legalmente en los estados unidos se necesitan determinados permisos o visas. Gracias a mi amiga de la infancia Laura, supe de la Residencia para “Artistas con Habilidad extraordinaria”. Ella me dijo que yo podía aplicar y probablemente obtenerla. Esta residencia es personas que se han destacado altamente en una rama del arte, ciencias, etc. Decid hablar con su abogado, y ella me dijo que sí, podía aplicar. Me sentí nerviosa y emocionada a la vez. Yo pensaba que el proceso se tomana de 4 a 8 años y por eso apliqué lo más pronto que pude: 2014.
en las bellas artes y danza fuera apreciado por un país como USA, pero a la vez tan triste y desconsolada pues inmediatamente debía dejar el país, y a mi estudio. Fue un momento tan bonito y triste. Pero como yo había dado mi 110% para mis estudiantes, mi estudio, mis producciones y todo lo relacionado con Tabla, sentía que podía cerrar ese ciclo, pero que debía hacerlo con broche de oro: con talleres, certificaciones, clases, evaluaciones y un gran show recopilando todas la s producciones anteriores: Tabla Bye Bye Paula. El show contó con una pequeña parte de: Stand up & Bellydance! 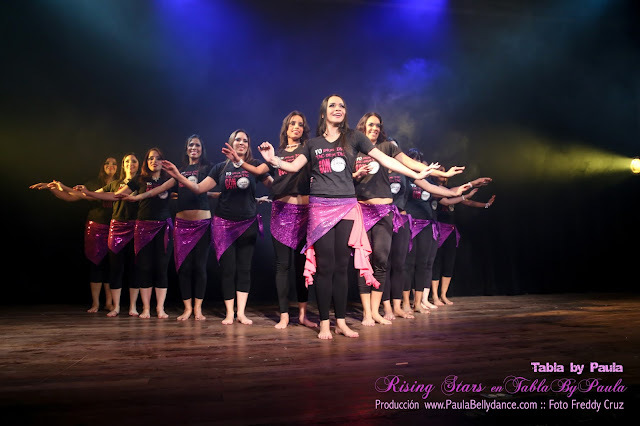 Yo Bailo en Tabla (El Recital y EL Cuento de Primavera), la Gala Rising Stars y Dominicana Goes Tribal. *** ENGLISH. 2014 was a year that brought many beautiful and spiritual changes for me. Also, that same year I got married again, and being so in love, everything was even more pink. He, a musician and I, a dancer: it was to be expected that he had to be part of one of my events. As the Tribal Fusion has different influences, among them, rock music, and also, it had never been a festival or big Tribal event in the country, I decided it was time to do it. Dominicana Goes Tribal, 1st.. Night of Tribal and Other Fusion of the Country. The influence and support of my husband, helped me to raise other perspectives in the production and to introduce a phenomenal element: live rock music and dance. 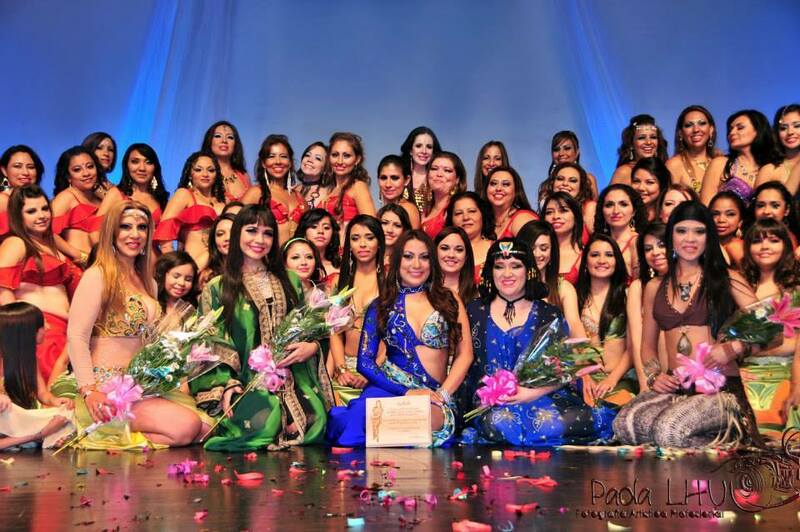 For the first time there was a large tribal festival in the Dominican oriental dance community. The practitioners of fusion had to register for the festival. I think it was a positive and beautiful production. A beautiful campaign was done, and I wanted to educate the public about what the Tribal Fusion was. "A story Starts" and "Join the story" were slogans who accompanied this beautiful experience. *** ESPANOL. El 2014 fue un año que trajo muchos cambios lindos y espirituales para mí. También, ese mismo año también me casé nuevamente, y al estar tan enamorada, todo era color más rosa todavía. El músico y yo bailarina, era de esperarse que él tenía que ser parte de uno de mis eventos. Como el Tribal Fusion tiene diferentes influencias, entre ellas , la música del rock,, y además, nunca se había hecho un festival o evento grande de Tribal del país, decidí que era momento de hacerlo. Surgió Dominicana Goes Tribal, 1Ra. Noche de Tribal y Otras Fusiones del País. La influencia y apoyo de mi esposo, me ayudó a plantear otras perspectivas en la producción y a introducir un elemento fenomenal: música rock y danza en vivo. Por primera vez se tenía un evento tribal grande en la comunidad de danza oriental dominicana. Debian inscribirse las personas practicantes de tribal y otras fusiones. Pienso que fue una producción positiva y linda. Se hizo una campaña de expectativa, y quise a la vez educar al publico con respecto a lo que es el Tribal Fusion. "La historia comienza" y "Sé parte de la historia" eran de los slogans que representaron esta experiencia. Aquí parte de la promo, fotos y videos. *** ENGLISH. 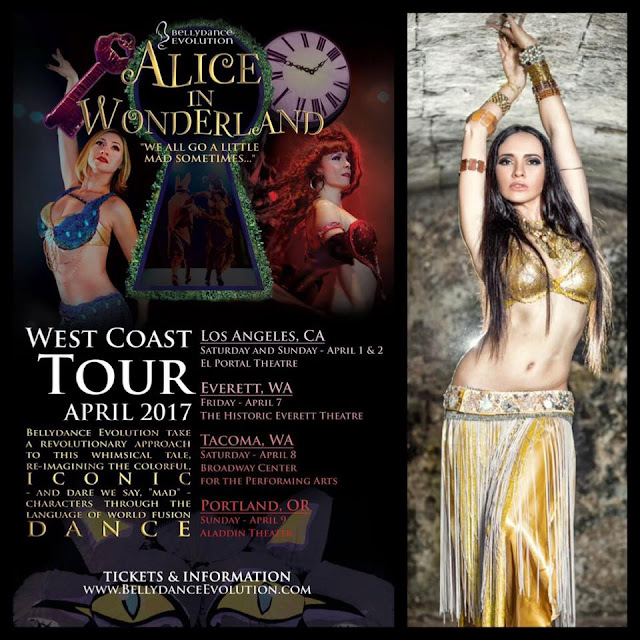 Stand Up & Bellydance! 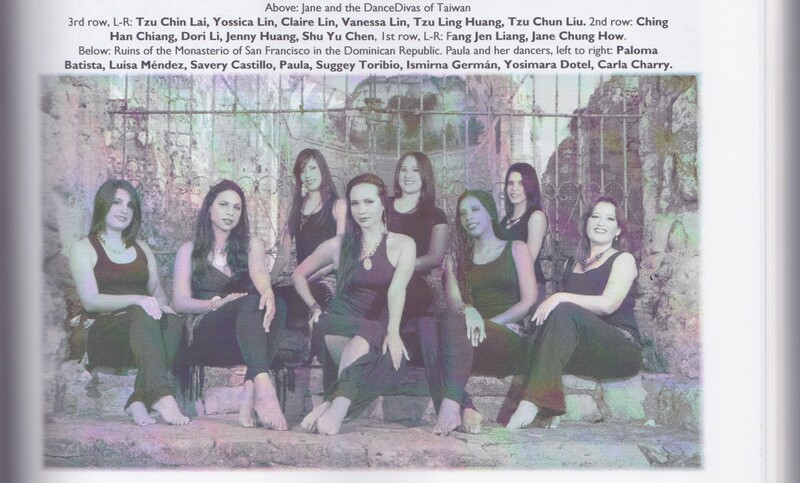 was created from the desire to make an original show in the country’s oriental dance community. 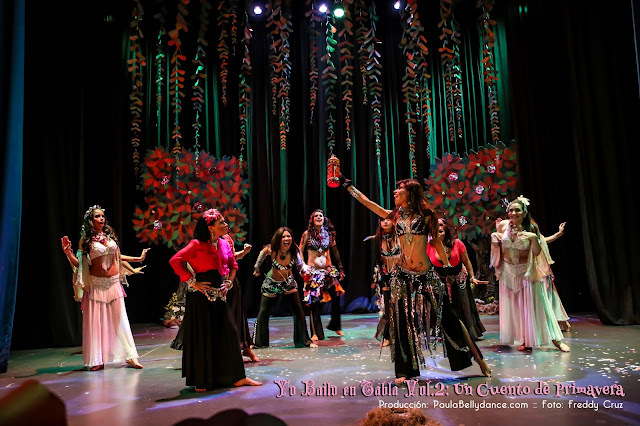 The concept "Stand up and Bellydance!" 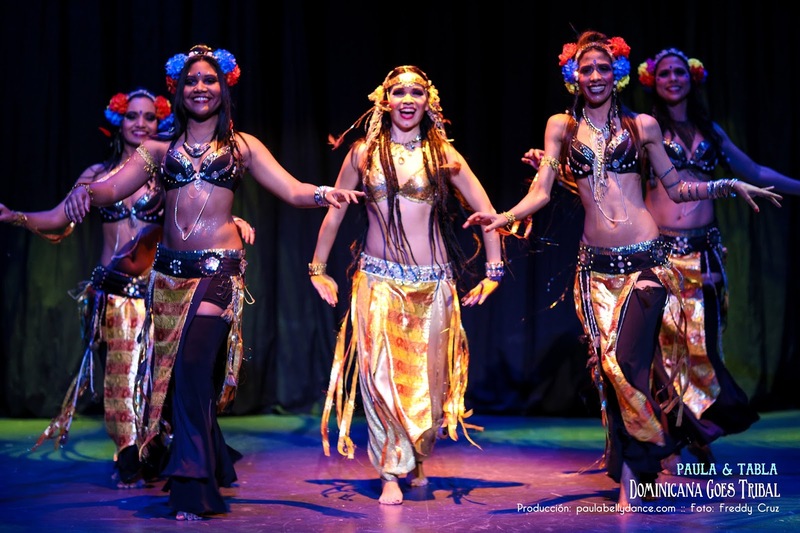 combined the humor part with prominent Dominican comedians and pieces of Oriental Dance, to provide a night of entertainment for various audiences and good taste. Each volume had its hand program to indicate the style presented and the artists and humorists responsible for it. It was intended to entertain and educate at the same time. The three volumes were full house, and the feedback was very positive, always referring to punctuality, organization and artistic level. *** ESPANOL. Stand Up & Bellydance! Surgió por el deseo de hacer un espectáculo con un tema diferente, con tema y estructurado en el país. 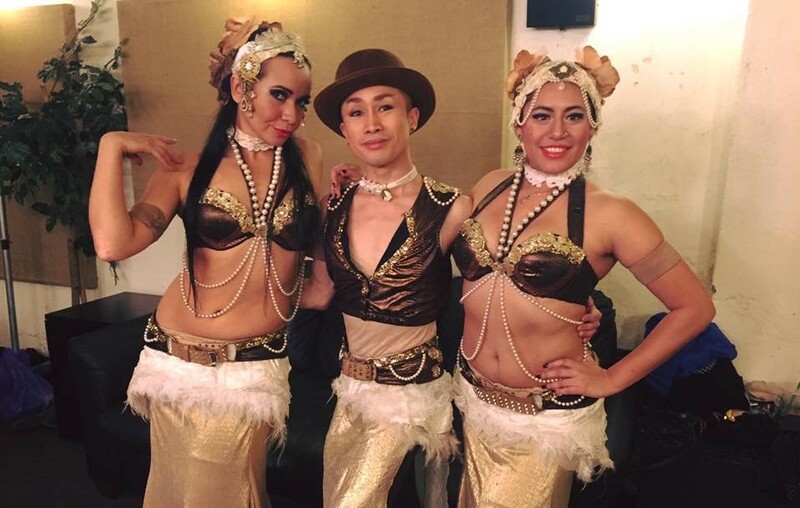 El concepto “Stand up and Bellydance!” Combinaba la parte de humor con destacados humoristas dominicanos y piezas de Danza Oriental, para brindar una noche de entretenimiento para diversos públicos y de buen gusto. Cada volumen tuvo su programa de mano para indicar el estilo presentado y los artistas y humoristas responsables de ello. Se pretendía entretener y educar a la vez. Los tres volúmenes estuvieron a casa llena, y la retroalimentación fue muy positiva, refiriéndose siempre a la puntualidad, organización y nivel artístico. *** ENGLISH.Kisses to the right, kisses to the left, my heart to you, and applause for you because you read me! see you soon! *** ESPANOL.¡Besos a la derecha, besos a la izquierda, mi corazón hacia ti, y aplausos para ti porque me lees! ¡hasta pronto!